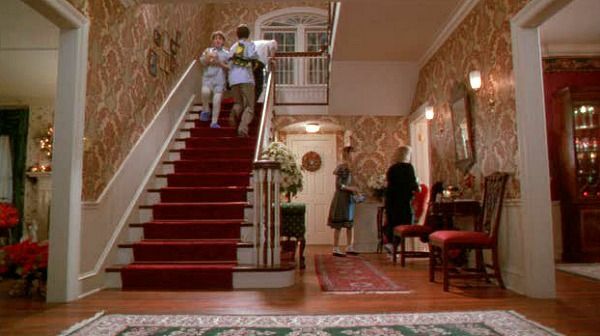 I don’t know what it is but I have always been fascinated by the film locations of movie homes, particularly the ones from Ferris Bueller’s Day Off, Home Alone, and Father of the Bride. Aside from the fact that these homes are traditional in appearance with their symmetrical windows and painted wood shutters and a stately portico out front, these houses have come to symbolize the American dream of living in a picturesque, quiet, suburban neighborhood with tree-lined streets and white picket fences. 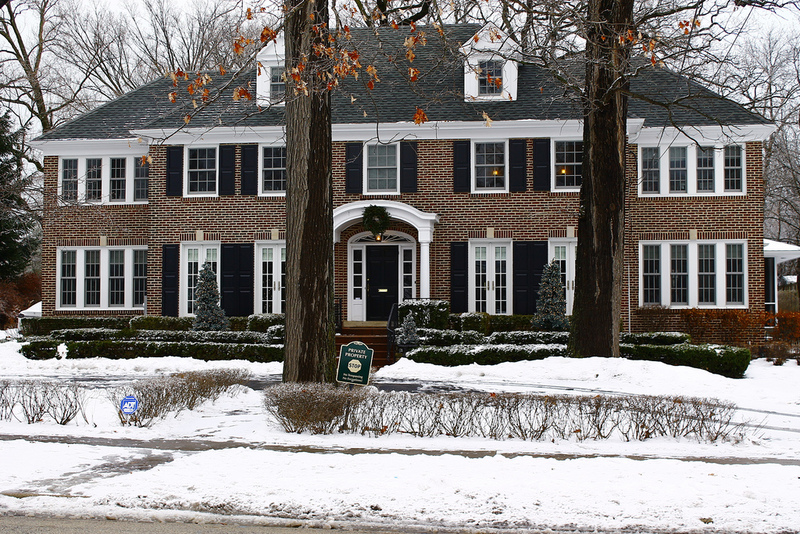 Although the setting for both Ferris Bueller’s Day Off and Home Alone take place in and around Chicago, the iconic 2-story 93-year-old brick Colonial belonging to the McCallister family was actually filmed in Winnetka, a wealthy suburb 16 miles north of downtown Chicago. 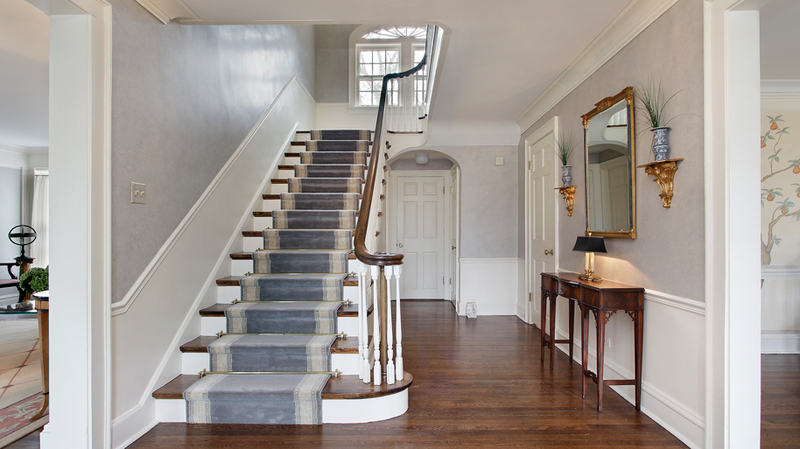 The Home Alone House during filming (left) and what it looks like today (right). 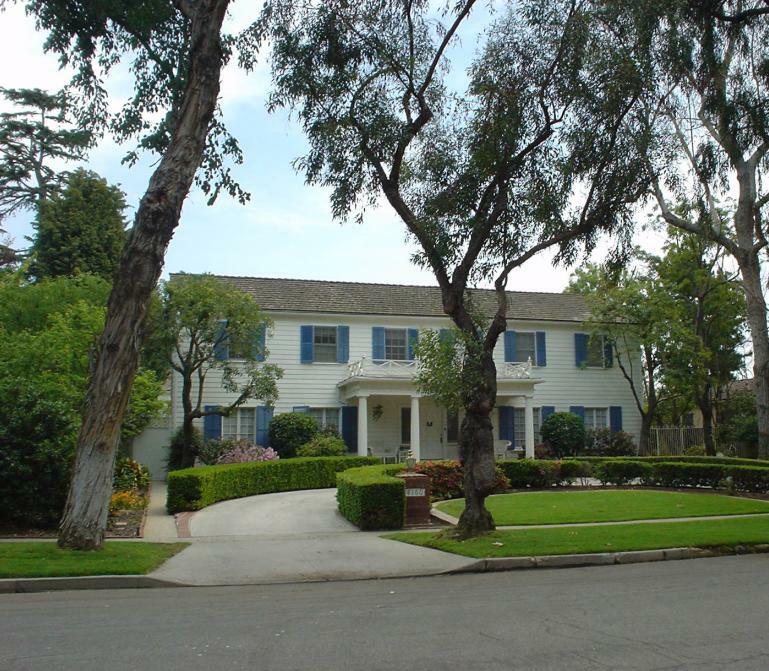 Ferris Bueller’s home during filming (left) is actually located in Los Cerritos, a neighborhood in Long Beach. The house hasn’t changed much except the window shutters are now blue and that some of the trees have been trimmed. The residence of Ferris’s best friend, Cameron Frye, was shot in in the suburban community of Highland Park, IL. 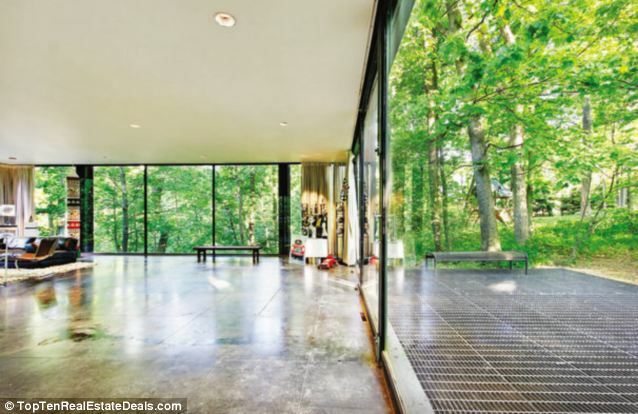 The house was designed in 1953 by A. James Speyer, a student of Ludwig Mies van der Rohe, for textile artist Ben Rose. Twenty years later, Speyer’s protege designed a glass pavilion nearby, which was made famous by the Ferrari crash scene in the movie. The 4-bedroom, 4 bath house is perched like a tree house on a 3/4 acre wooded lot, and is thankfully protected from demolition by the town’s landmarks ordinance. 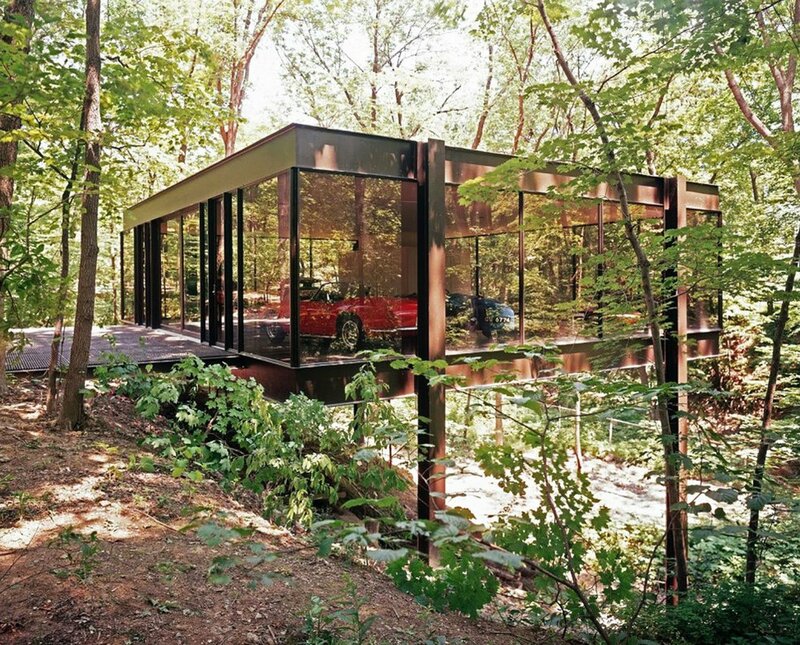 Note the direct contrast between the colonial revival house and the mid-century steel and glass house, and the opposite personalities of the rule-breaking, overly optimistic Ferris and the introverted and neurotic Cameron. Ferris Bueller’s Day Off and Home Alone were written (and directed) by the successful director, producer, screenwriter and Michigan native, John Hughes, who sadly died of a heart attack on August 6, 2009 in New York City. Fellow director Chris Columbus directed the latter film. The Ben Rose House and Pavilion during filming (left) and present day (right). In the 1991 remake of Father of the Bride, who could forget that memorable scene when Steve Martin’s character George Banks happily pulled up the driveway in his black Austin-Healey 3000 after hearing that his 22-year-old daughter Annie just returned from Europe? 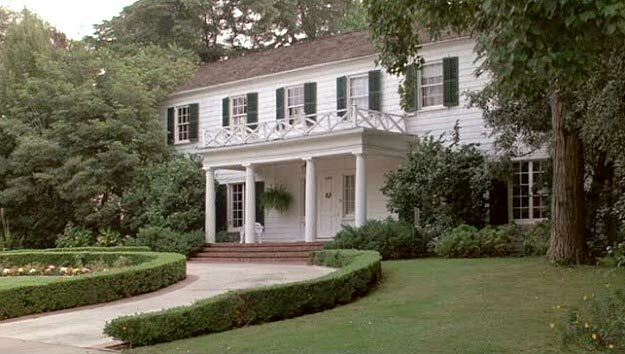 From the wide shot of their lovely tree-lined avenue, the camera pans over to their ivy-covered, white colonial revival with Annie’s theme from Alan Silvestri’s original score. This is probably one of my favorite houses shot on film, aside from the Villa Von Trapp, which was filmed in two different locations in Salzburg for the movie The Sound of Music. 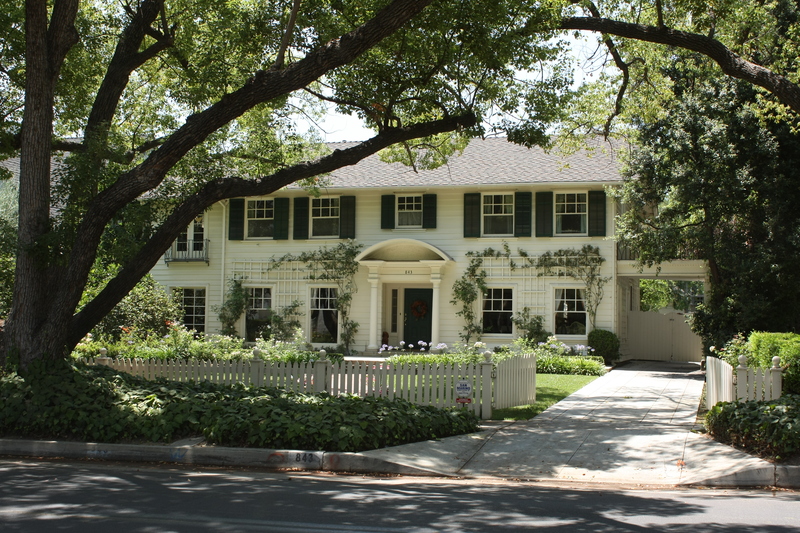 The Father of the Bride house was actually shot in South Pasadena, but the story takes place in the beautiful little town of San Marino. 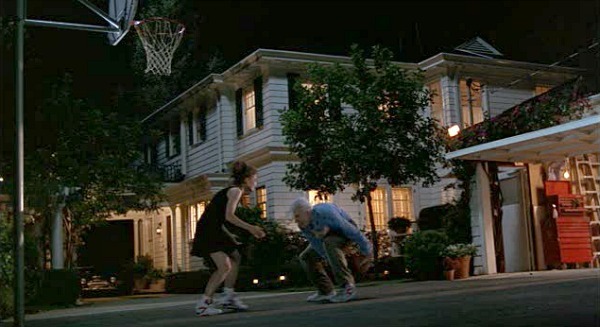 If you pay close attention to the film, there was another house that was used to capture the outdoor basketball scene between George and Annie on the night before her wedding.